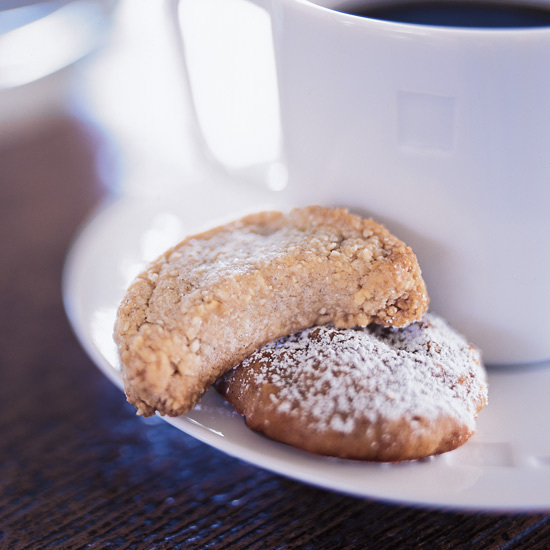 Cesare Casella's delicious Italian recipes, from calamari salad with garlic bruschetta to almond-grappa cookies. 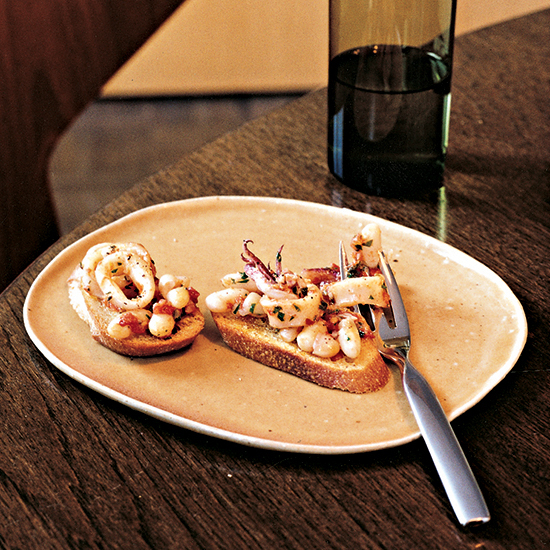 This dish originated in a hill town outside Rome called Amatrice. 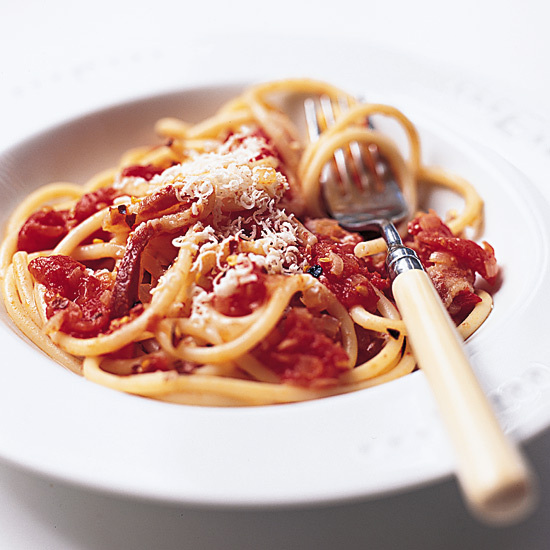 Authentic bucatini all'amatriciana is made with tomatoes, Pecorino and guanciale, a type of pork fat. Here pancetta is substituted for the guanciale. 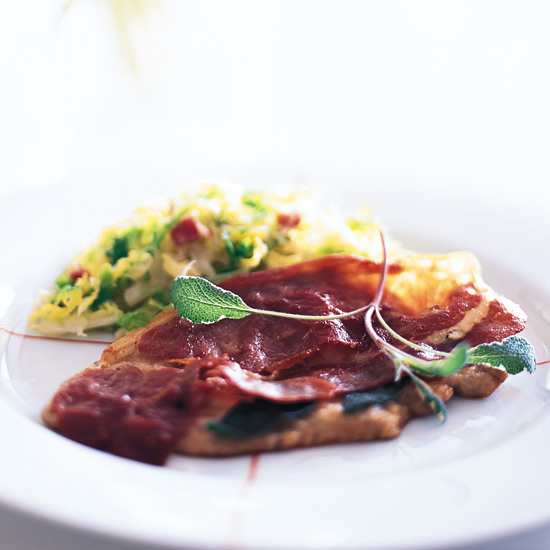 Literally translated, saltimbocca means "jump in the mouth," a clear indication of just how good this classic dish tastes. 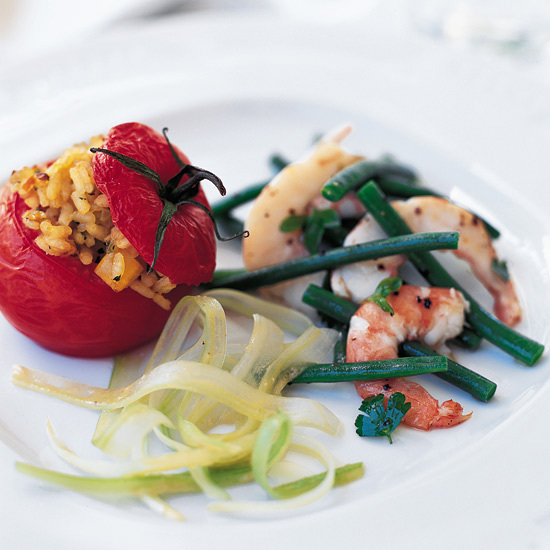 The shrimp, beans and dressing can be refrigerated, separately, overnight. Toss just before serving.